Each show season has earned us a new game of musical chairs. 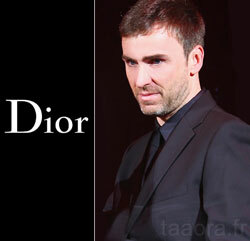 Since leaving the house Jil Sander last February, many rumors announced the arrival of Raf Simons at Dior. Well, it’s official, the Parisian fashion house has announced in a statement the appointment of Belgian designer posted the artistic director, succeeding John Galliano, removed from office there over a year. Raf Simons will be responsible for “haute couture collections, ready-to-wear and accessories for women” said Dior, which has expressed an enthusiastic welcome “one of the greatest talents current, for continue the work of its founder. It will inspire and propel it into the 21st century style that Mr. Dior launched since the opening of his house and has changed since his first collection, the codes of elegance World “.